The Born-Alive Abortion Survivor's Act was voted down by members of Congress on March 26. UNITED STATES—On Tuesday, March 26, Republicans of the House of Representatives tried once again to pass the Born-Alive Abortion Survivor’s Act. For the 23rd time, the legislature was voted down by Democrats. The Born-Alive Abortion Survivors Act calls for care and life-saving protections for living breathing infants born alive during botched abortions. 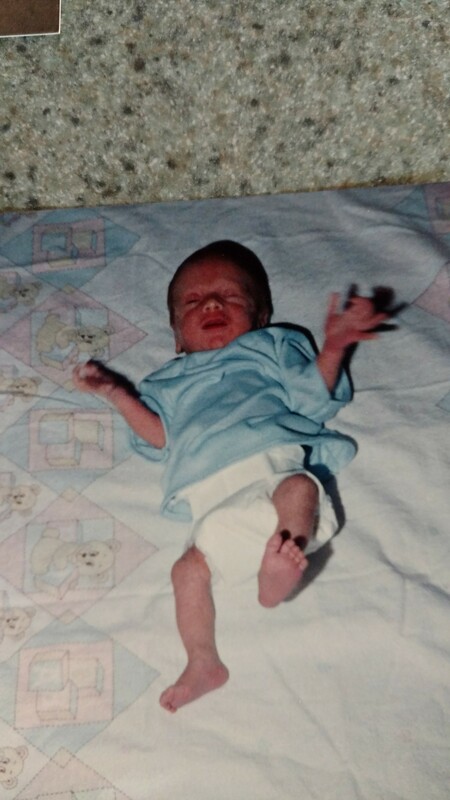 Mark Stice,, Born 5 weeks premature 5 pounds and 9 ounces. Democrats present who voted against the life-saving bill included Bernie Sanders, Kamala Harris, Elizabeth Warren, Cory Booker, Kirsten Gillibrand, and Amy Klobuchar. All Republicans present have voted in favor of the bill each time. Speaker of the House Nancy Pelosi suggested the legislature was cut off mid-sentence. Talk of opening the legislature was not permitted. House Republicans have decided to implement measures to by-pass Nancy Pelosi and the Pro-abortion Democrats to put a stop infanticide in the United States once and for all. Congressman Steve Scalise is the Current U.S. House of Representative Minority Whip, and member of Louisiana 1st Congressional District. The Whip is the official responsible for keeping order and ensure party discipline in the legislature. Congressman Steve Scalise and Congresswoman Ann Wagner are giving the Democratic party until Tuesday, April 2, to open legislation for the Born-Alive Abortion Survivors Act. If not accomplished by this time, a discharge petition will be filed. I took to the House Floor to call on my colleagues to protect babies and mandate medical care for babies who are born alive. This is not a difficult decision. All life is precious and I hope my colleagues join me in supporting my legislation, the Born-Alive Abortion Survivors Protection Act. 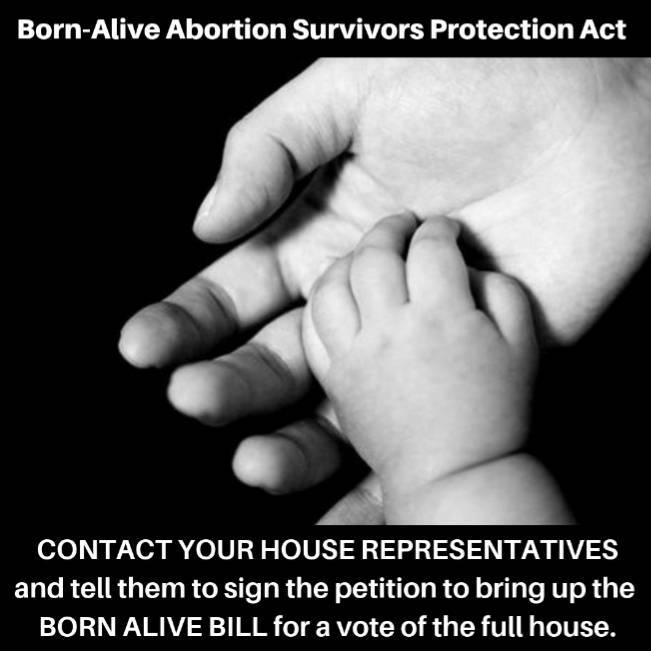 A Discharge petition would put the Born-Alive Abortion Survivors Act on the House floor for an immediate vote.